It's finally back! 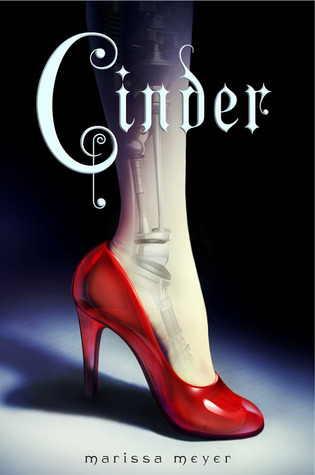 Each and every month on Squeaky Books I feature 6-8 upcoming releases. You vote for the ones you are excited about via this form. At the beginning of the next month, the novel with the greatest amount of votes will be given away. Fun times, eh? You can vote for the January books from January 10th – January 31st at 7:59pm MST. On February 1st I'll post the giveaway of the book with the most votes! Feel free to ask questions in the comments or e-mail me. Now go forth and vote! Is there a book you'd like to be featured? Click here to fill out the form and nominate it. If it's picked as the book of the month you'll get 5 extra entries to win it! Aria is a teenager in the enclosed city of Reverie. Like all Dwellers, she spends her time with friends in virtual environments, called Realms, accessed through an eyepiece called a Smarteye. Aria enjoys the Realms and the easy life in Reverie. When she is forced out of the pod for a crime she did not commit, she believes her death is imminent. The outside world is known as The Death Shop, with danger in every direction. As an Outsider, Perry has always known hunger, vicious predators, and violent energy storms from the swirling electrified atmosphere called the Aether. A bit of an outcast even among his hunting tribe, Perry withstands these daily tests with his exceptional abilities, as he is gifted with powerful senses that enable him to scent danger, food and even human emotions. They come together reluctantly, for Aria must depend on Perry, whom she considers a barbarian, to help her get back to Reverie, while Perry needs Aria to help unravel the mystery of his beloved nephew’s abduction by the Dwellers. Together they embark on a journey challenged as much by their prejudices as by encounters with cannibals and wolves. 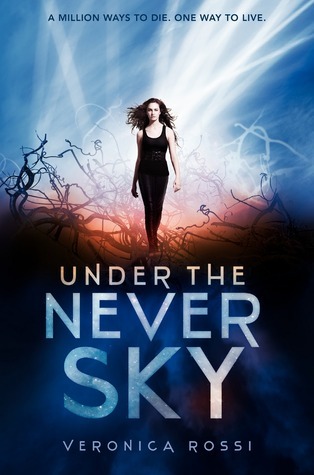 But to their surprise, Aria and Perry forge an unlikely love - one that will forever change the fate of all who live under the never sky. Wilde Island is in an uproar after the recent death of its king. The uneasy pact between dragons, fairies, and humans is fraying, and a bloodthirsty witch hunter with a hidden agenda whips villages into frenzies with wild accusations. Tess, a blacksmith’s daughter from a tiny hamlet near the mysterious Dragonswood, finds herself caught in the crosshairs of fate when she is accused of witchery and has to flee for her life along with her two best friends. Not even Tess’s power to see the future can help the girls as they set off on their desperate journey, but she keeps having visions of a man wielding a sword. 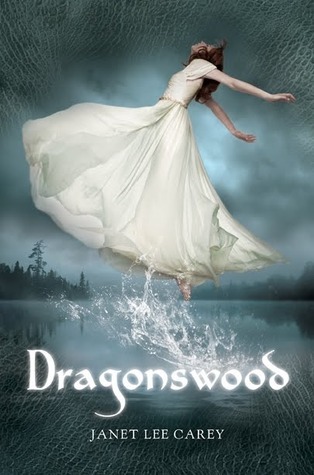 And when she finally meets him, Tess has no idea how to handle the magnetic attraction she feels for him, or the elusive call she hears from the heart of the Dragonswood. 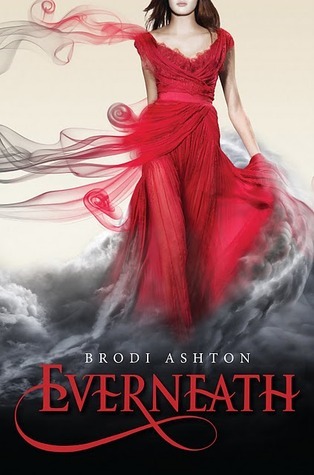 ast spring, Nikki Beckett vanished, sucked into an underworld known as the Everneath, where immortals Feed on the emotions of despairing humans. Now she's returned- to her old life, her family, her friends- before being banished back to the underworld... this time forever. Nikki longs to spend these months reconnecting with her boyfriend, Jack, the one person she loves more than anything. But there's a problem: Cole, the smoldering immortal who first enticed her to the Everneath, has followed Nikki to the mortal world. And he'll do whatever it takes to bring her back- this time as his queen. Ana is new. For thousands of years in Range, a million souls have been reincarnated over and over, keeping their memories and experiences from previous lifetimes. When Ana was born, another soul vanished, and no one knows why. Even Ana’s own mother thinks she’s a nosoul, an omen of worse things to come, and has kept her away from society. To escape her seclusion and learn whether she’ll be reincarnated, Ana travels to the city of Heart, but its citizens are suspicious and afraid of what her presence means. When dragons and sylph attack the city, is Ana to blame? Sam believes Ana’s new soul is good and worthwhile. When he stands up for her, their relationship blooms. But can he love someone who may live only once, and will Ana’s enemies—human and creature alike—let them be together? 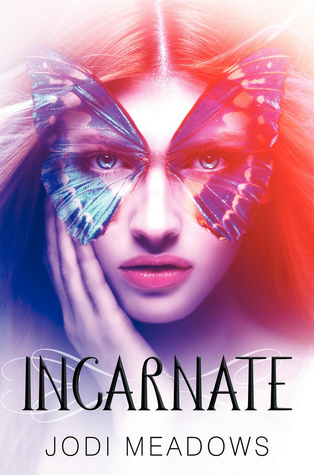 Ana needs to uncover the mistake that gave her someone else’s life, but will her quest threaten the peace of Heart and destroy the promise of reincarnation for all? 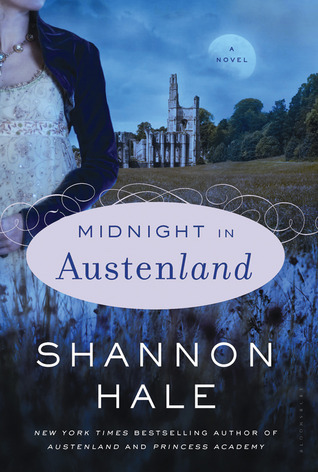 When Charlotte Kinder treats herself to a two-week vacation at Austenland, she happily leaves behind her ex-husband and his delightful new wife, her ever-grateful children, and all the rest of her real life in America. She dons a bonnet and stays at a country manor house that provides an immersive Austen experience, complete with gentleman actors who cater to the guests' Austen fantasies. Everyone at Pembrook Park is playing a role, but increasingly, Charlotte isn't sure where roles end and reality begins. And as the parlor games turn a little bit menacing, she finds she needs more than a good corset to keep herself safe. Is the brooding Mr. Mallery as sinister as he seems? What is Miss Gardenside's mysterious ailment? Was that an actual dead body in the secret attic room? And-perhaps of the most lasting importance-could the stirrings in Charlotte's heart be a sign of real-life love? he human race is all but extinct after a war with Partials—engineered organic beings identical to humans—has decimated the population. 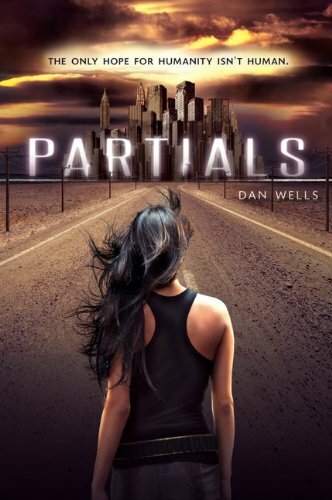 Reduced to tens of thousands by RM, a weaponized virus to which only a fraction of humanity is immune, the survivors in North America have huddled together on Long Island while the Partials have mysteriously retreated. The threat of the Partials is still imminent, but worse, no baby has been born immune to RM in more than a decade. Our time is running out. Now you've seen them all, so vote! Vote for any and all that you're excited about! Incarnate Theatre Treasure Hunt Activity! What should I review next? Discussion post: is objectivity important to you? Do you hate embedded comments as much as I do? Discussion post: the royal "we"